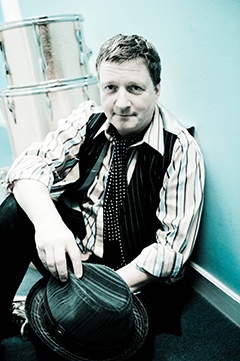 As half of the iconic songwriter team Difford and Tilbrook of beloved pop legends Squeeze, Glenn Tilbrook has written some of the most enduring pop classics of the '80s UK New Wave invasion with such global hits as "Tempted" and "Pulling Mussels (From the Shell)." With more recent performances at Coachella and on Late Night with Jimmy Fallon, The Ellen DeGeneres Show and Live from the Artist’s Den, Squeeze has proven itself to be relevant and enduring as new generations of fans discover the band's incredible songbook. Not one to rest on his laurels, Tilbrook is back -- ducking and diving, bobbing and weaving -- with his fifth non-Squeeze album, Happy Ending. Inventive, witty and stuffed with a twinkling treasure trove of brand-new melodies, Happy Trails proves that the man's musicality and sense of craft are as fresh and energized as ever.